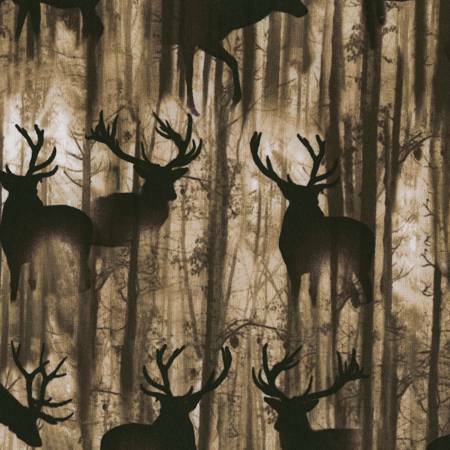 Tan forest texture with black silhouettes of deer. From the Deep in the Woods collection from Timeless Treasures. 100% cotton. 44"-45" wide.